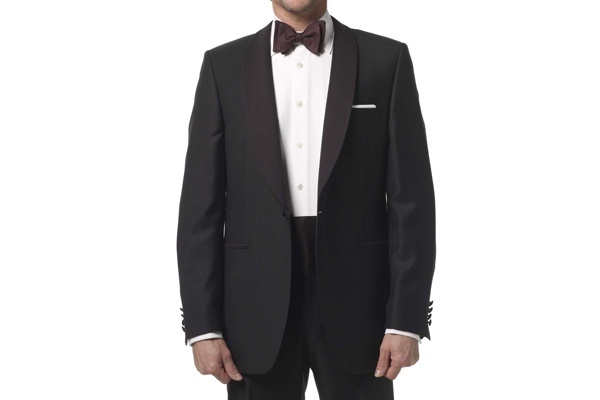 Gieves & Hawkes is prepared to outfit you for the big night out, and this black shawl collar dinner jacket is a superb choice for any black tie event. Made of a fine super 110s wool, this jacket omits the usual peaked lapels and goes for a shawl design. While somewhat unconventional, it’s a dashing looking choice reminiscent of Connery as Bond. 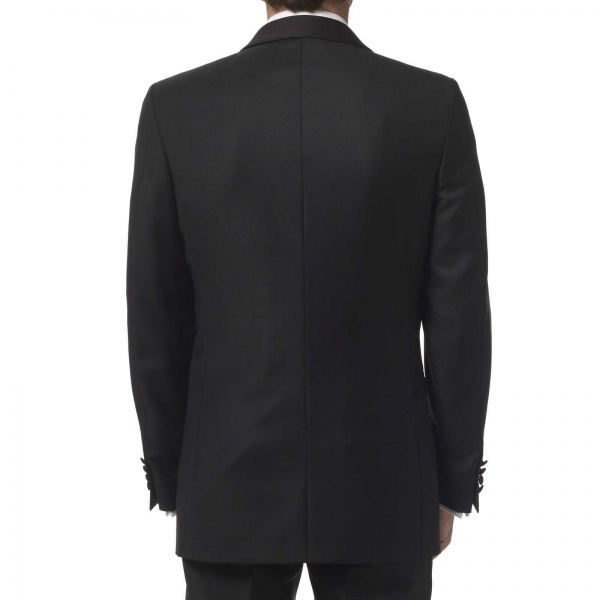 A great jacket from a great tailor’s, you can find it online, and at the Gieves & Hawkes shop on Savile Row. This entry was posted in Black Tie, Suits and tagged Black, Gieves Hawkes, Savile Row. Bookmark the permalink.